Two tenons side by side. Used for jointing wider members. 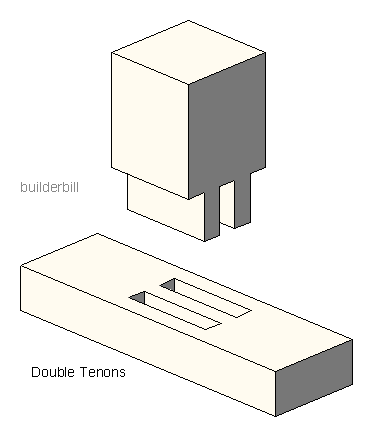 The double or side by side tenon is used in heavy or wide stock. The layout of the joint gives more wedging and glue surfaces and so greater holding power that a single mortise and tenon joint in the same timber. 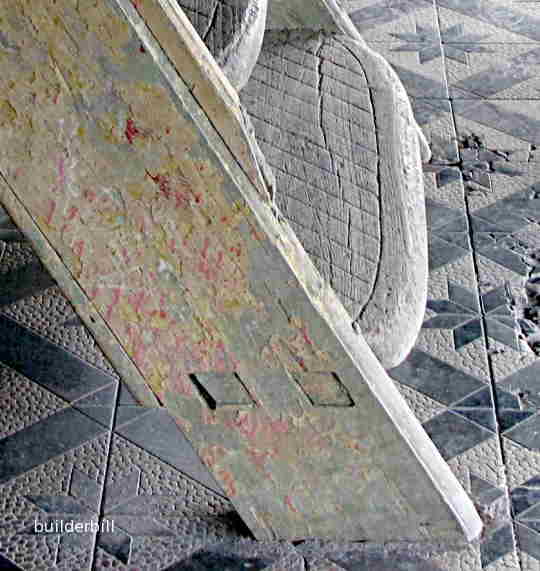 Here are a pair of tenons to an old stair in the Citadel in Hue, Vietnam. In the west this stair would use wedges to hold the mortise and tennon together, but from my limited travel in SE Asia I have only through mortises like this with pins holding the joints.